mCommerce, CMS Solutions,Adone Group, IT Company. The power of mobile devices becomes evident from the rapid adoption of mobile internet for even the most mundane, but tedious chores like paying the electricity bill. Simple applications on mobile platforms has eliminated even the need to open the computer and log into the internet. Mobile websites have made navigation and control on a 4-inch screen child's play. All these factors have led to a boom in the mCommerce market and today, one can buy anything they desire on the internet, sitting in the comfort of their house. 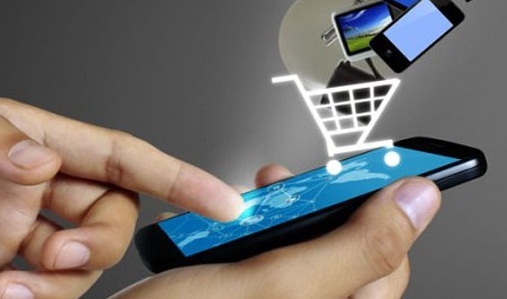 We provide cost-effective mCommerce solutions that will keep your business application running smoothly 24x7. Our robust CMS solutions will ensure that the mobile site or application of your business loads smoothly along with all the images and videos. Our designers are adept at creating intuitive navigation and control to ensure fast cart selection and checkout. Whether you need one-stop solutions for all the IT needs of your business, including administration and business operations, or you need specific solutions for development of software and tools, we will be available with our robust solutions. We apply compelling third-party vendor tools and CMS solutions, which are seamlessly integrated with your system. The solutions we deliver are engaging, streamlined and deliver the best user experience.